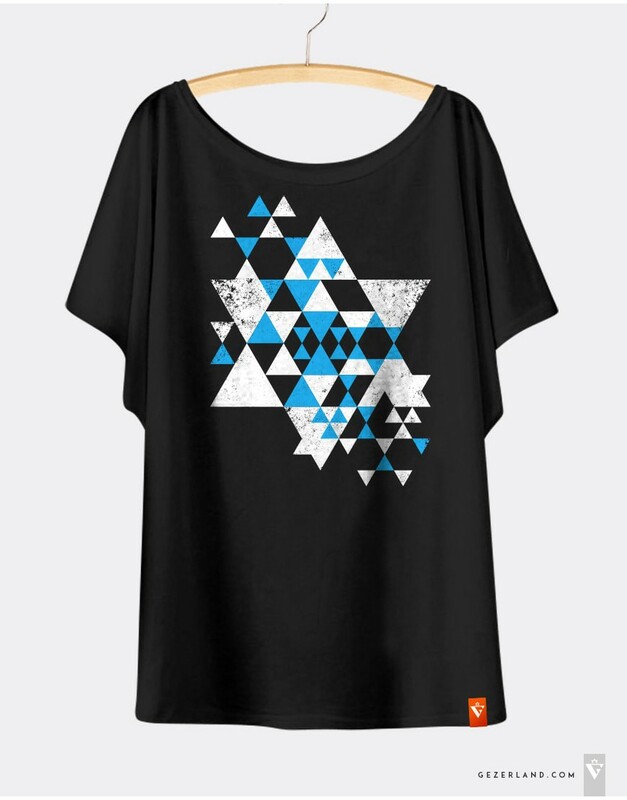 Women's Black T-shirt Israel Magen David Triangles. Made in Israel. 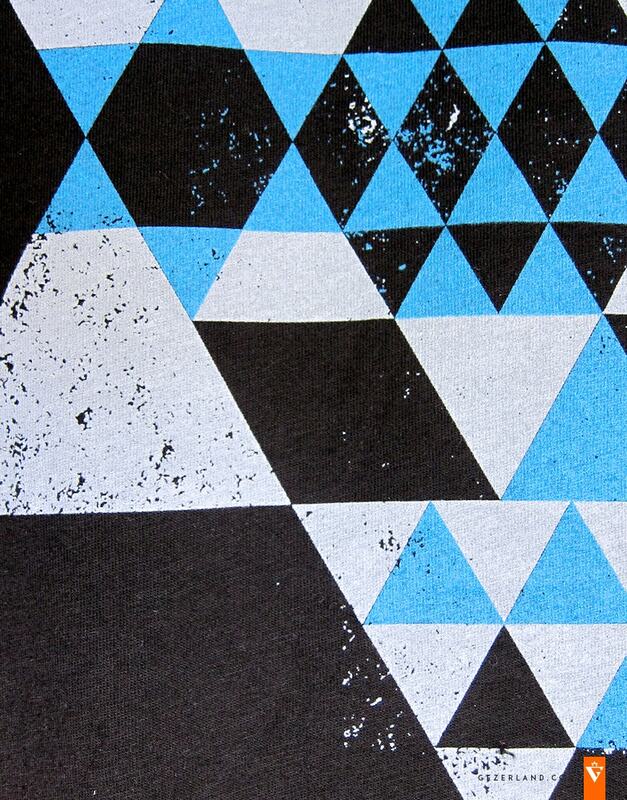 The print of triangles pattern which compose Magen David ornament.